Warcry is a Portland Oregon based D-beat band featuring Todd of Tragedy and His Hero Is Gone fame on vocals and Keith from Hellshock, The Estranged, Lebenden Toten and Black Water Records on drums. 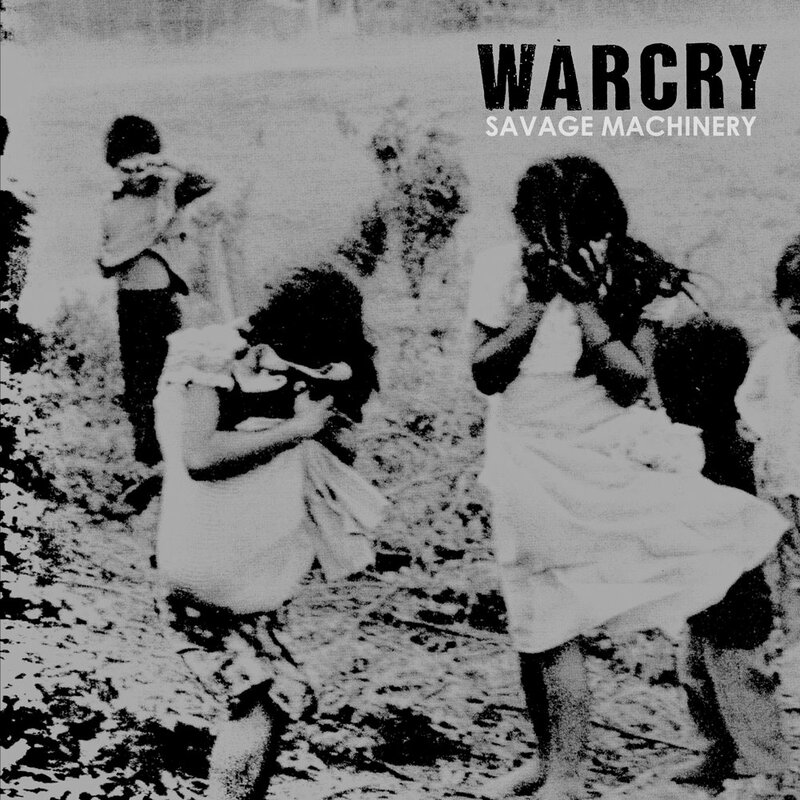 Savage Machinery is the band's fourth full-length LP, which was just released on the band's own imprint Warcry Records for the U.S. market. For the first time on Agipunk, Warcry's Savage Machinery features ten tracks of vicious and brutal sounding D-BEAT. Those who think of this band as Tragedy's faster, louder, and angrier little brothers (mostly since because they have the same vocalist), are completely wrong, as even with the similar vocal style Warcry sound pretty much nothing like Tragedy. As with all of their other records, the inspiration here is classic d-beat of the type that we generally associate with mid-to-late-80s Scandinavia... if you dig records like Anti-Cimex's "Criminal Trap" 12", Totalitär's "Sin Egan Motstandare", or Nuclear Death Terror's "S/T" LP you'll definitely be able to rage out to this one. Great riffs, totally bruising recording, and all of the top-notch quality you would expect from this camp. These ten songs are flawlessly executed and will definitely appeal to fans of this style of music. Highly recommended! Enjoy!